Cite this article as: Mazor SS, Wright SW, Valento M, Chen BC. Severe Iron Poisoning Treated with High Dose Deferoxamine: A Case Report. Ann Clin Case Rep. 2017; 2: 1238. The incidence of iron poisoning, once the most common cause of fatal pediatric unintentional ingestions, and the use of its antidote deferoxamine (DFO) has declined. This decrease has resulted in provider inexperience in recognizing clinical aspects and in managing iron poisoning. We present the case of a 17-year-old girl who presented to a hospital following an intentional polysubstance ingestion, which included ferrous sulfate. She developed severe gastrointestinal symptoms including hematemesis, as well as anion gap metabolic acidosis, coagulopathy, and liver toxicity. She was treated with DFO at doses higher than recommended by the pharmaceutical company due to an extremely elevated serum iron concentration of 2565 g/dL and worsening clinical status. Clinical features and management of complex iron poisoning are discussed. The early consultation of a poison control center and the expertise of medical toxicologists can help providers manage complex poisoning cases and weigh the risks and benefits of off-label use of DFO for severe iron poisoning. The incidence of serious iron poisoning has drastically decreased over the last 30 years. Iron poisoning was once the most frequent cause of fatal pediatric unintentional ingestions . However, public health measures mandated by the U.S. Food and Drug Administration following urging from the American Association of Poison Control Centers (AAPCC) have resulted in less ingestion and fewer fatalities. The AAPCC reported 5,455 iron exposures in 2014. Of those, 2,095 occurred in children under 6 years of age, and 547 were intentional ingestions. Only one fatality from iron toxicity was reported to the AAPCC in 2014 . Due to the decreased incidence of severe iron poisoning, the use of deferoxamine (DFO) has also declined. This fall in DFO use has resulted in provider inexperience with prescribing this chelator. We report a case of serious iron poisoning resulting from an intentional polysubstance ingestion that included ferrous sulfate. The patient’s treatment required a complex regimen of DFO due to extremely elevated serum iron concentrations. A 17-year-old girl presented to a local emergency department (ED) following intentional polysubstance ingestion. In the ED, she was lethargic but able to state that she ingested an unknown number of ferrous sulfate tablets. In addition, she also swallowed an unknown number of two over-the-counter products: Tylenol PM® (each containing 500 mg of acetaminophen and 25 mg of diphenhydramine) and Excedrin Extra Strength® (each containing 250 mg of acetaminophen, 250 mg aspirin, and 65 mg of caffeine). Her initial vital signs were: temperature: 35.4O C; heart rate: 153 beats per minute; respiratory rate: 20 breaths per minute; blood pressure: 154/103 mmHg; and oxygen saturation: 100% on 1 L/min of oxygen by nasal cannula. On exam, she was alert and oriented without focal neurologic deficits. She obeyed commands and was conversant though she was noted to have a flat affect. Her cardiovascular exam was notable for a peripheral capillary refill of greater than three seconds, and her abdominal exam was unremarkable. During her initial evaluation, she had an episode of red-colored emesis. An abdominal x-ray did not demonstrate tablets in her gastrointestinal system. Laboratory values revealed a metabolic acidosis on venous blood gas with pH, 7.16; pCO2, 43 mmHg; lactate, 10.4 mmol/L; and bicarbonate, 15 mmol/L. Other notable laboratory studies included the following: white blood cell count, 19.6 k/cmm; hemoglobin, 19 g/dL; platelets, 393 k/cmm; acetaminophen concentration,74.6 μg/ ml (2 hours after reported ingestion); salicylateconcentration,7.3 mg/ dL; and iron concentration, 2565 μg/dL. Urine drug screen performed by immunoassay was positive for cocaine. An electrocardiogram was significant for sinus tachycardia at a rate of 151 beats per minute and QTc of 535 ms. The patient was given 50 mEq of intravenous sodium bicarbonate and then transferred to a pediatric Intensive Care Unit (PICU) of a tertiary referral children’s hospital. On arrival to the PICU, the patient’s repeat laboratory values were significant the following: iron concentration, 2793 μg/dL; acetaminophen concentration, 48 μg/ml (4 hours post-ingestion) (Table 1); creatinine, 0.9 mg/dL; International Normalized Ratio (INR), 2.5 (Table 2). The patient was treated with a DFO infusion starting at 3.79 mg/kg/hour for 10 hours. This rate was initially chosen because the pharmacist did not feel comfortable exceeding the package insert’s recommended maximum daily dose of 6 grams. After consultation with the local poison control center, the rate was increased to 10 mg/kg/hour. She received the DFO infusion at this rate for another 10 hours. During this time, she continued to have episodes of frank hematemesis. She received 2 units of Fresh Frozen Plasma (FFP) which resulted in an INR of 1.8 and decreased episodes of hematemesis. After 20.5 hours of DFO therapy, her infusion was held for 18 hours, and then resumed at 10 mg/kg/hour for another 7 hours. 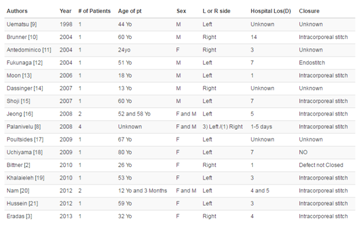 During this time, she did not develop any respiratory distress or hemodynamic instability (Table 3). One day after the ingestion, the patient’s iron concentration was 329μg/dL. Approximately 36 hours after the ingestion, the patient developed evidence of hepatotoxicity with Aspartate Aminotransferase (AST) rising from 199 to 1607 IU/L and Alanine Aminotransferase (ALT) rising from 96 to 2072 IU/L. Her conjugated bilirubin peaked at 1.9 mg/dL and unconjugated bilirubin peaked at 2.3 mg/dL. Given the patient’s co-ingestion of acetaminophen, the providers initiated intravenous n-acetylcysteine therapy in case her reported time of ingestion was incorrect. She received a 21-hour course for presumed acetaminophen toxicity. During this time, she received an additional 2 units of FFP for persistently abnormal INR measurements. 72-hours post-ingestion, she began to show improvement in her alanine aminotransferase level, hyperbilirubinemia, and coagulopathy. She was transferred out of the PICU five days after admission and subsequently discharged from the hospital nine days after admission. Four weeks after the ingestion, the patient was evaluated in an outpatient gastroenterology clinic for emesis, poor oral intake and weight loss. A barium upper gastrointestinal fluoroscopy with small bowel follow-through showed no evidence of gastric outlet obstruction or stricture. However, due to continued feeding intolerance, six weeks after her ingestion, she underwent a esophagogastroduodenoscopy which showed evidence of gastric outlet obstruction. She subsequently underwent two gastric dilations with the placement of a nasojejunal feeding tube. Six months after her ingestion, she has had appropriate weight gain despite intermittent symptoms of nausea. Table 1: Serologic levels of ingested substances by time after ingestion. Serologic levels of ingested substances by time after ingestion. Table 2: Serologic markers by time after ingestion. Serologic markers by time after ingestion. Table 3: Summary of therapies received by time after ingestion. Summary of therapies received by time after ingestion. Once a leading cause of pediatric poisoning, the incidence of iron overdose has markedly diminished, largely due to a series of preventative measures, including warning labels and unit dose packaging, instituted by the US Food and Drug Administration (FDA) in the late 1990s . Only one death from iron overdose was reported in the most recent National Poison Data System (NPDS) Annual Report . Despite the rarity of severe overdose, clinicians should remain aware of the indications for treatment of iron toxicity with deferoxamine and its associated risks. Deferoxamine, an iron-specific chelator, can be used for acute or chronic iron overload. Following acute overdose, it is usually recommended for patients exhibiting evidence of serious poisoning (e.g. metabolic acidosis, shock) or with serum iron concentrations greater than 500 ug/dl . The standard recommended infusion rate is 15 mg/kg/h, though some authors advise starting at lower doses and titrating up to avoid hypotension, which has been described following rapid infusion [5,6]. In this case, the patient received an initial rate of infusion at 3.79 mg/kg/hr, which calculated by the hospital pharmacist based on the package insert that reported the maximum dose over a 24-hour period is 6 grams. Current practice accepts that DFO often exceeds this 6 gram limit. Deferoxamine is ideally administered early, while the majority of iron is accessible for chelation in the serum compartment, and for a short duration, to avoid side effects associated with prolonged infusion. Because of the extremely elevated serum iron concentration, the poison control center recommended increasing the rate of DFO infusion to at least 15 mg/kg/hr with options to increase it up to 40 mg/kg/hr if the patient could tolerate the infusion. Perhaps the most concerning of deferoxamine potential side effects is development of Acute Respiratory Distress Syndrome (ARDS). Significant pulmonary toxicity has been reported following intravenous infusions for greater than 24 hours [7,8]. Proposed mechanisms for pulmonary injury include free radical formation and intracellular catalase depletion . We were concerned about the possibility of a lengthy treatment course upon learning of the patient’s markedly elevated serum iron concentration. In an attempt to avoid pulmonary complications, we recommended a 12-hour deferoxamine “holiday” once the patient’s initial treatment approached 24 hours. We found only one prior report of an intermittent dosing approach following acute iron overdose . The patient in that case developed ARDS on the second hospital day, but was treated with a higher infusion rate (25 mg/kg/h) due to his poor presenting condition and exceedingly high serum iron concentration (16,706 ug/dL). Fortunately, our patient’s clinical status markedly improved following approximately 27.5 hours of therapy, and she showed no evidence of pulmonary toxicity during her hospitalization. The clinical presentation of this patient was confounded by her co-ingestions of acetaminophen-containing products. She developed signs of hepatotoxicity between 24 and 48 hours post ingestion with rising liver function tests and development of coagulopathy. Liver toxicity is a relatively late clinical feature of severe iron poisoning, typically occurring between 2 and 3 days following ingestion. Iron causes local oxidative damage upon entering the liver [4,5]. So while it is possible that the patient developed acetaminophen-induced liver injury, perhaps due toan inaccurate history of time of ingestion, it is more likely that the patient’s hepatotoxicity was a result of iron toxicity. Clinically significant iron poisoning occurs less frequently following preventative measures instituted by the FDA in prior decades. This decrease has resulted in provider inexperience with evaluation and management of cases, particularly in the prescribing of DFO. This case was particularly complicated due to the extremely elevated serum iron concentration, which suggested that the patient required prolonged DFO infusion past the recommended usual 24 hour limit. The consultation of poison control centers and the expertise of medical toxicologists can help providers weigh the risks and benefits of off-label use of DFO for severe iron poisoning. Litovitz T, Manoguerra A. Comparison of pediatric poisoning hazards: an analysis of 3.8 million exposure incidents. A report from the American Association of Poison Control Centers. Pediatrics. 1992; 89: 999-1006. Mowry JB, Spyker DA, Brooks DE, McMillan N, Schauben JL. Annual Report of the American Association of Poison Control Centers' National Poison Data System (NPDS): 32nd Annual Report. Clin Toxicol (Phila). 2015; 53: 962-1147. Tenenbein M. Unit dose packaging of iron supplements and reduction of iron poisoning in young children. Arch PediatrAdolesc Med. 2005: 159: 593-595. Perrone J Iron. Goldfrank LR (Editors), In: Goldfrank’sToxicologic Emergencies, 10th Ed. New York, NY: McGraw-Hill. Howland MA. Antidotes in Depth: Deferoxamine. Goldfrank LR (Ed.) In: Goldfrank’sToxicologic Emergencies, 10th Ed. New York, NY: McGraw- Hill. Wetslin W. Deferoxamine in the treatment of acute iron poisoning. Clinical experiences with 172 children. Clin Pediatr (Phila). 1966; 5: 531- 535. Ioannides AS, Panisello JM. Acute respiratory distress syndrome in children with acute iron poisoning. The role of intravenous desferrioxamine. Eur J Pediatr. 2000; 159: 158-159. Adamson I, Sienko A, Tenenbein M. Pulmonary toxicity of deferoxamine in iron-poisoned mice. Toxicol Appl Pharmacol. 1993; 120: 13-19. Tenenbein M, Kowalski S, Sienko A, Bowden DH, Adamson IY. Pulmonary toxic effects of continuous administration in acute iron poisoning. Lancet. 1992; 339: 699-701. Cheney K, Gumbiner C, Benson B, Tenenbein M. Survival after a severe iron poisoning treated with intermittent infusions of deferoxamine. J Toxicol Clin Toxicol. 1995; 33: 61-66.